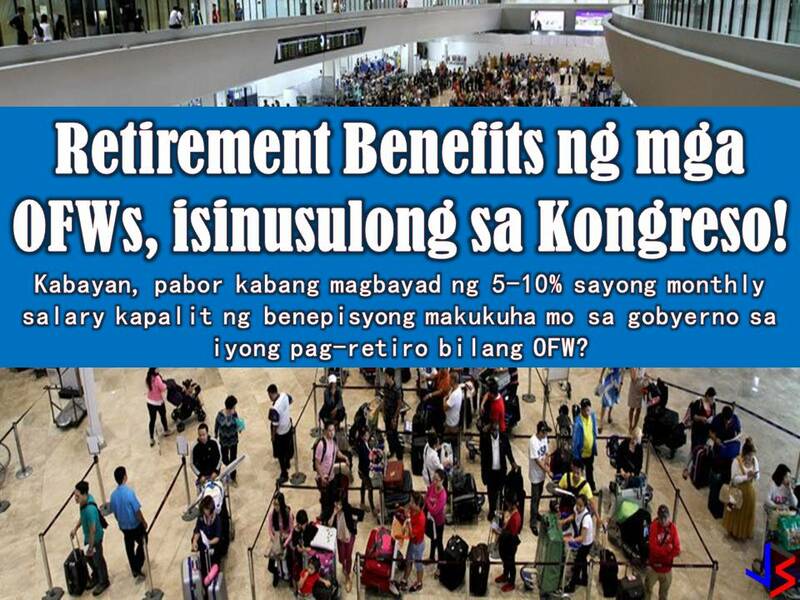 THOUGHTSKOTO Thoughtskoto : Congress Pushes for OFW's Retirement Benefits, Will It Pass Into Law? Congress Pushes for OFW's Retirement Benefits, Will It Pass Into Law? If a consolidated version out of this three laws or even one of this would come into law, this is a great help for our modern day heroes, our Overseas Filipino Workers (OFWs). These 2018 three bills are being filed in the House of Representatives seeking to provide retirement benefits and welfare assistance to OFWs. 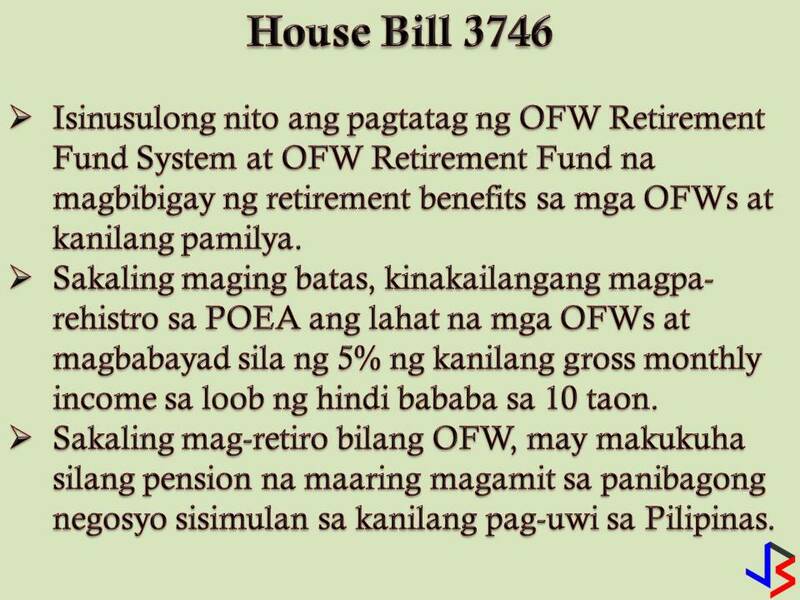 HB 3746 calls for the creation of an Overseas Filipino Workers Retirement Fund System and an OFW Retirement Fund, which shall be used to provide retirement benefits and similar gratuities to OFWs and their beneficiaries. The measure requires all OFWs duly registered with the Philippine Overseas Employment Administration (POEA), to remit five percent of their gross monthly income for at least 10 years. Marcoleta said that there is no law that would allow the OFWs to neither receive retirement pay at an earlier age nor provide voluntary separation benefits. He said that the proposed retirement system would provide the OFWs with funds they can use for business opportunities or other productive endeavors when they decide to finally retire from work. 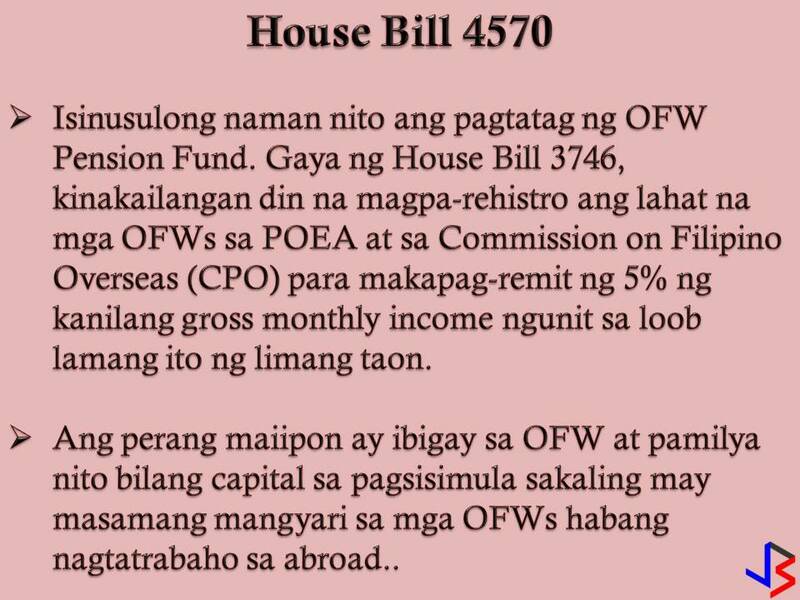 HB 5470 proposes the creation of the Overseas Filipino Workers Pension Fund. 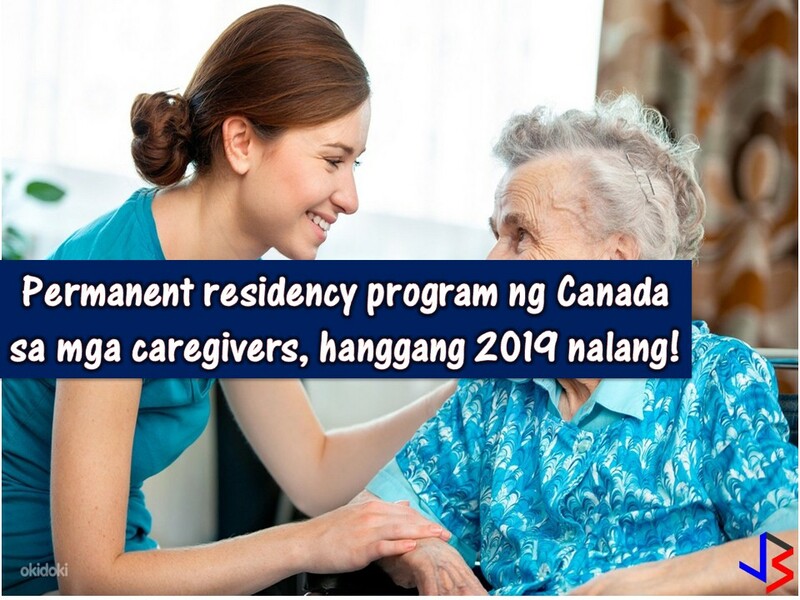 It requires all OFWs duly registered with the POEA and the Commission on Filipino Overseas (CPO) to remit five percent of their gross monthly income to the Overseas Filipino Workers Pension Fund for five years. 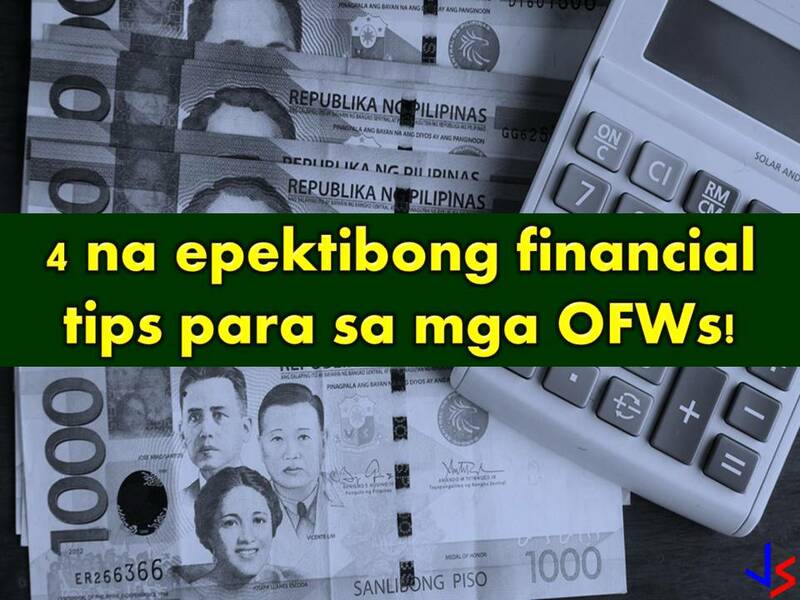 Accordingly, the fund would provide OFWs and their families a guaranteed capital to start anew in the event that they meet an unforeseen misfortune in the course of their work. 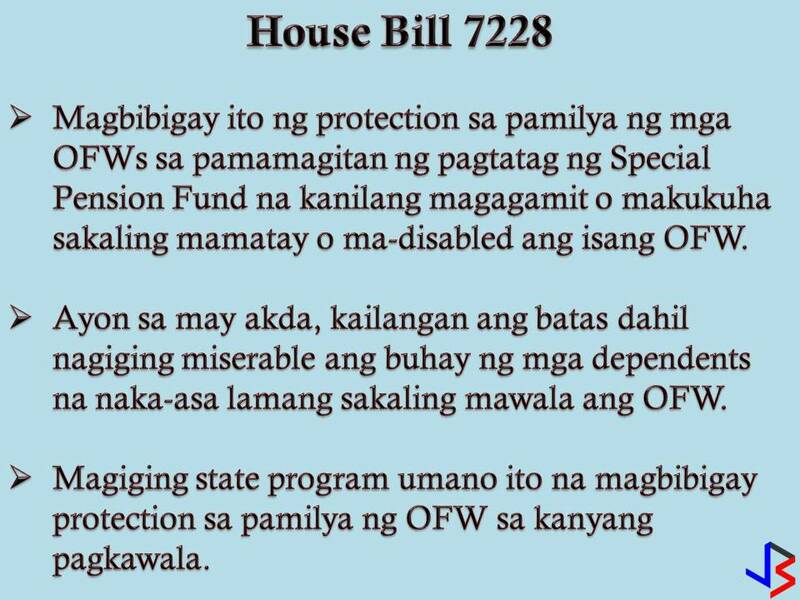 HB 7228 seeks to provide for the protection of OFW dependents by setting up for them a special pension fund in the event of income loss due to death or disability. Castelo explained that in the event the OFWs themselves lose the ability to earn a living, their family and those who depend on them for subsistence become miserable. Castelo added that there has to be a state intervention whereby they are protected economically if this scenario occurs. With these three bills, the House of the Representative panel has formed a technical working group to consolidate the bills. If passed this bill will help many OFWs who retired from working abroad so that they can start another chapter of their lives in the Philippines.